Whether it is your first dog or cat or your fifth, there are things you should know (or consider) before selecting a pet. 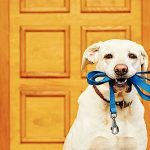 I work with (and do fundraising for) a local Dallas Fort Worth dog and cat rescue group, Lost Paws of Texas, that tries to guide potential pet adopters during the selection process. Here’s what you should consider before making a choice of pet. Labrador Retrievers are still the most popular dog breeds in the U.S. but this doesn’t necessarily make them the best choice for you and your family. Many adopters don’t know there are English Labs and American Labs. Each has a very different energy level and personality. As a result, adopters often adopt a lab without bringing home the breed most suitable for their lifestyle. If you like big dogs but live in a smaller home or apartment, consider a smaller terrier with a big dog personality. Or, consider a cat instead of a dog. Do you need a hypoallergenic dog? 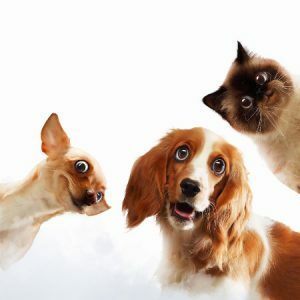 Are you okay with cat or a dog that sheds a lot? Do you have the time for dogs that need to be groomed more often – or cats that need to be brushed every day? 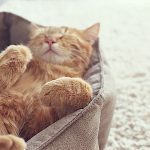 Are you aware that certain breeds of dogs and cats are predisposed to certain health challenges whereas other breeds may have very few genetic health issues? Choose a dog or cat better suited to your lifestyle, home environment, work schedule and personality. Are you ready to be a forever pet parent? These ‘creature kids’ – as I love to refer to them – are with you until they pass. For certain breeds of dogs and cats, average lifespan may be as few as 8 to 10 years; whereas for other breeds it may be 15-plus years. 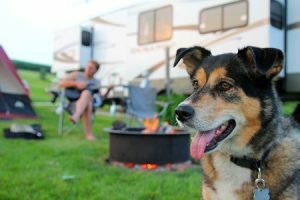 Are you committed to caring for your pets for their lifetime even if you move far away or into a smaller home? Are diagnosed with a chronic illness or debilitating health issue that minimizes your activity? There are annual shots, monthly flea, tick and heartworm medicine, and food expenses. These are just the necessities. 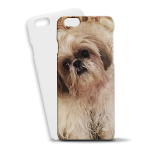 Have you planned and budgeted for medical emergencies, toys, beds, grooming, pet insurance. Pets don’t have to be expensive but they can be. Some people prefer purebred dogs or cats instead of mixed breeds. Did you know that 25%* of dogs in shelters are purebred? Think beyond the cute puppies and kittens that are more work and consider a dog that is a couple of years old or so and past all those young pup/kitty teething, chewing habits. Don’t forget to ask about ‘surrender’ dogs and cats. These are previously owned pets that are surrendered by their owners at shelters. They are often the first to be euthanized because there is no need to ‘wait for the owner to show up and claim them’. They are usually potty trained/litter box trained, leash trained, spayed and neutered. You will find that whether purebred or mutt, cat or dog – rescues make great pets since they are starved for a chance to care for you more than you will ever care for them. You will experience fidelity from a creature kid that you will never experience from your human BFF. You will experience a magnitude of love that surpasses anything a human can offer (even your flesh and blood). You will experience levels of joy that would fill a bucket the size of Texas… in a single moment. You will experience a quiet comfort that no drink, drug or counselor will ever deliver. For most humans, the rewards far outweigh the downsides. Animals Count: National Database Project – Help us turn data into life.